Hi! I'm Karee Santos. Welcome to my blog on Catholic marriage and family. My husband Manuel P. Santos, M.D., and I have been married sixteen years and have six beautiful children. 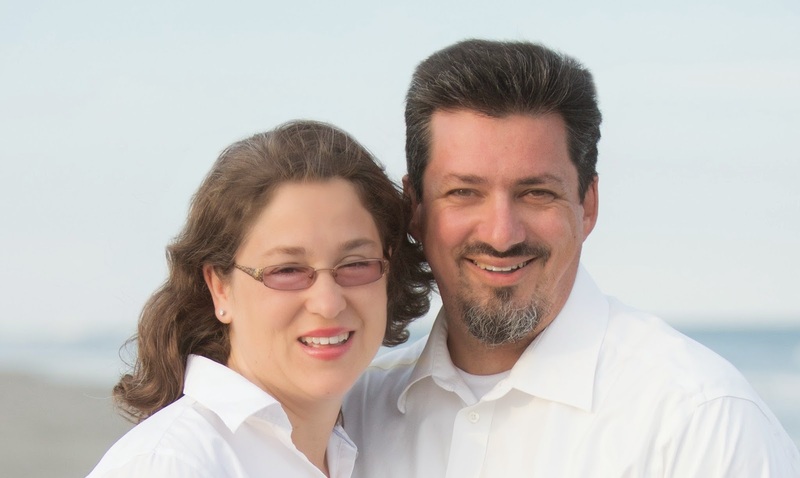 Manny and I began teaching marriage preparation classes together in New York City in 2003. We also appeared as one of the couples featured in the marriage preparation DVD, “When Two Become One,” produced by the Diocese of Rockville Centre. 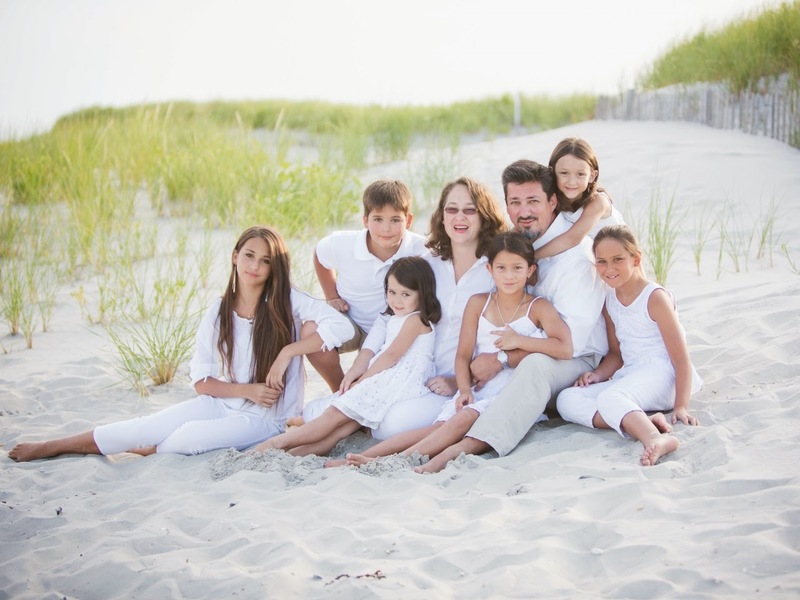 After practicing law for nearly 10 years in New York City, I gave it up to stay home and raise my children. Then I started writing articles on marriage and family for publications like the National Catholic Register and Faith & Family: The Magazine of Catholic Living. More recently, my work has appeared in Catholic Digest magazine and online at Catholic Match Institute (the blog for CatholicMatch), Aleteia, CatholicMom, CatholicLane, AmazingCatechists, and Catholic365. My husband Manny and I write a monthly marriage advice column on CatholicMom.com called “Marriage Rx.” We also contribute to FAITH Magazine’s “Marriage Matters” advice column. And we co-authored The Four Keys to Everlasting Love: How Your Catholic Marriage Can Bring You Joy for a Lifetime (Ave Maria Press, 2016)! For more news about our book and to get a free downloadable gift, click here. Hi Karee, I just discovered your blog and hope to repost some of your posts on the facebook page of my apostolate Conversation with Women (description below). I see overlap in our missions and perhaps we could support each other. There are some issues that women need hear about from other like-minded women. There are some subjects so personal, that it can be difficult to initiate these vital conversations. Conversation with Women is a website where Catholic women come together and discuss. They share their stories and support each other in matters of sexuality, marriage, society, and living the faith. Women submit anonymous testimonials of how they have accepted the church's moral teaching and how they have lived the teaching, struggles and all....most importantly how that moral teaching has born fruit in their lives. The on-line conversations continue through comments and also provide kindling for many off-line conversations. Emily, please feel free to share my posts on your facebook page. I'm thrilled by your interest and would love to meet more of your members. If you want to chat by email, just drop me a line at santoskaree@gmail.com. I liked your poem very much. One of the great things about CatholicLane is their dedication to publishing Catholic poetry. I noticed you're also a patent attorney. I third-chaired a few patent litigations several careers ago! Wow, you have a beautiful family! Thank you so much, Suzi! I just finished reviewing your new book. It was fantastic. I hope you enjoy my review. Also, I think the work you and your husband are doing is much-needed and very refreshing. Thank you for raising your kids and building such an incredible family-oriented apostolate. Blessings! Showers of blessings on you, Jeannie. And lots and lots of thanks! I teach Senior Theology/World Religions and Vocations at our local Catholic High School. So many of our students have a misunderstanding about the Catholic position of marriage- so many of their parents aren't living within Sacramental Marriages. My goal is to teach my students about the seriousness of the Covenant of Holy Matrimony...and hope it sinks in....as they travel through their lives. I really stumbled upon your website...and information....God bless you and your husband. What a joy you are to each other and to others!! God bless you for your important teaching ministry. I hope I've been able to help in some small way! Since he was in the first grade, fourteen-year-old Nicholas Gilroy has felt that God might be calling him to be a Catholic priest. To determine whether he has a vocation, he applies and is accepted as a freshman at Saint Peter's High School Seminary. Nicholas, who has been homeschooled, is overwhelmed by the size of the building. He is also intimidated by the vice rector, Father Stephen Reynolds, who, from Nicholas's perspective, should be in the marines and not in a seminary. The young man soon develops a friendship with Jose and Luke, two other freshman boys, which helps him to achieve success on the football team and to enjoy his new life at Saint Peter's. But when Nicholas signs up for an after-school program to help tutor children in the inner city, he finds himself thrown into an adventure that puts his life at risk and changes him forever. In this novel, a teenage boy enrolled in a seminary participates in an after-school tutoring program in the inner city and comes face-to-face with life-changing danger.